You may have to pony up $245, but the Moulin Roty Les Jouets Retro Rocking Horse is well worth the investment, as this toy will passed down through many generations, resulting in hours of classic rocking playtime. 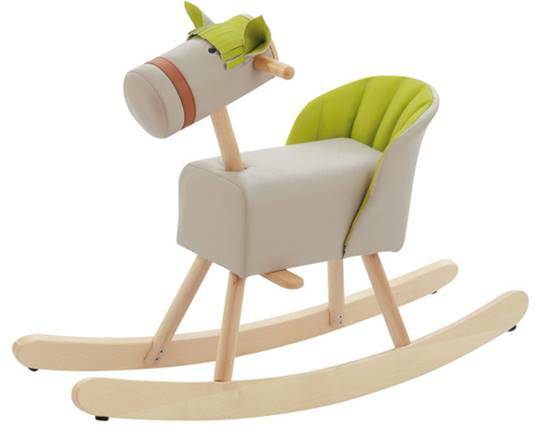 The rocking horse is wonderfully crafted with high quality solid beech wood complete with a padded faux leather seat made specifically for comfort for young children. All parts of this lovely toy have been systematically tested and are non-toxic; meeting or exceeding safety specifications set forth by ASTM International (American standard) and the BSI (European standard). Due to its heirloom quality and timeless design, this rocking horse will make an excellent gift for any toddler.